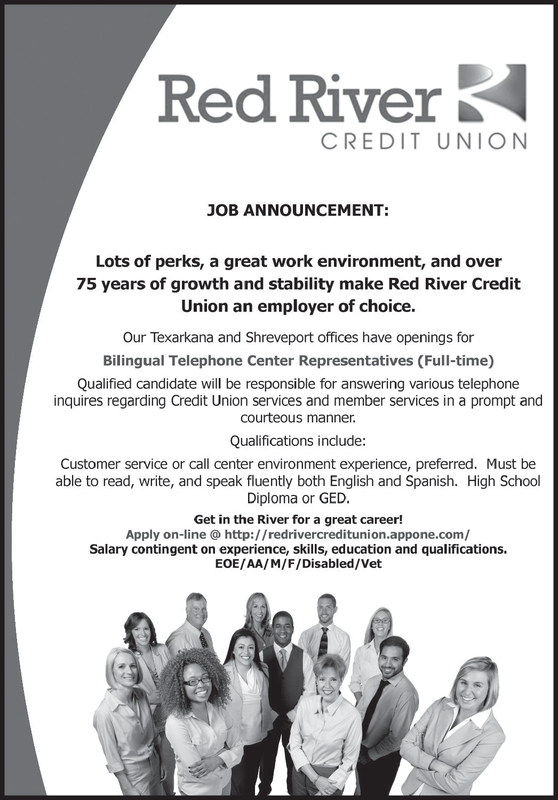 Lots of perks, a great work environment, and over 75 years of growth and stability make Red River Credit Union an employer of choice. Qualified candidate will be responsible for answering various telephone inquires regarding Credit Union services and member services in a prompt and courteous manner. Customer service or call center environment experience, preferred. Must be able to read, write, and speak fluently both English and Spanish. High School Diploma or GED. Get in the River for a great career! Salary contingent on experience, skills, education and qualifications.